I'm always looking for things that aren't cardboard to add to my Indians collection. When i fond something that is "almost" akin to cardboard, I can't seem to win over the urge to splurge. That's what happened here. I saw this and had to have it. I'm a little disappointed that the bat is not a separate vinyl sticker. But, we do get Masterson and the Block C to peel off and stick on something, if we so choose. Of course, we will not choose to do that because I prefer to keep this little guy in tact. The item is basically 5x7 inches. 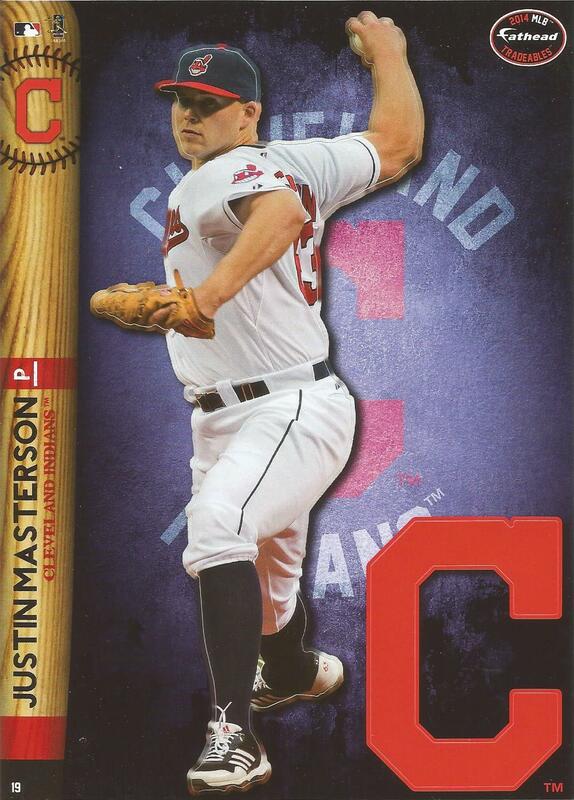 there were two Indians in the set: Masterson and Jason Kipnis. Looks like I'll be on the hunt for a Kipnis!